Dr. Loudon is an accomplished emergency veterinarian with 15 years of experience in her field. She is currently the Medical Director of Animal Emergency Service in Selden, NY and Commack, NY. Dr. Loudon’s professional interests include emergency medicine and critical care, nutrition, pain management and holistic medicine. As an emergency veterinarian, Dr. Loudon was too often confronted with a situation where an animal in need of care could not receive treatment due to lack of finances. She could no longer allow this to be a factor in her patient’s care and therefore founded Healing Haven Animal Foundation. Aside from her current position as Medical Director, Dr. Loudon has always had a passion for helping injured or sick stray animals. She has personally rescued and treated more than 200 injured stray dogs and cats in the past 20 years. She has also fostered and rehabilitated many of these animals until they were ready to be adopted. Dr. Loudon has dedicated a large amount of time volunteering for local shelters and rescue groups. 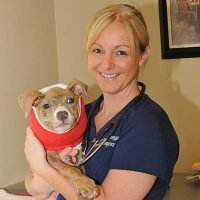 In addition to her work helping stray animals, Dr. Loudon has been the primary veterinarian to large-profile abuse cases such as Maximus, the pit bull who was set on fire by his owner in 2007 and Joey, the pit bull who had been thrown from a moving car in 2012. Dr. Loudon’s purpose and mission is to create a place where animals will get the veterinary care they deserve despite finances, where animals will have a safe haven to live, and a place where the love from animals will help people heal and grow. This is where Healing Haven Animal Foundation is heading. Dr. Loudon offers Veterinary House Calls, Vet-To-Vet Services, and Home Euthansia Services. For more information, please visit drloudon.com.